Andrew Benintendi’s Not-So-Long Journey From Sellman Field To Fenway Park. He took just the right angle, streaking toward the spot where he judged the ball would land. Fielding it off a high bounce, he transferred the ball from his glove to his left hand and launched it toward home plate in one seamless motion. Red Sox catcher Christian Vázquez caught it on the fly, and with a grand sweep, tagged a hard-charging Houston Astro a millisecond before his hand touched the plate. The inning ended. Houston’s would-be tying run was erased. Fenway Park erupted, Twitter melted down, and a few hours later, Madeira’s Andrew Benintendi earned a spot on ESPN SportsCenter’s Top 10 plays—again. Back home on Dawson Road, Andrew’s father, Chris, thought it was a great Father’s Day present. Andrew Benintendi is 23 and already has a corner office—one with no windows, no doors, a carpet of grass, and a 37-foot-high green wall. In Boston, this patch of sod is as revered as the blades on Bunker Hill. Hall of Famers Carl Yastrzemski and Jim Rice roamed Fenway Park’s left field for decades, followed later by enigmatic All-Star Manny Ramirez. And before all of them, there was The Splendid Splinter himself, Ted Williams. Now it’s the domain of The Man from Madeira. Benintendi, who became Boston’s everyday left fielder at the start of the season, will be coming home to patrol left field at Great American Ball Park later this month when the Red Sox roll through town for a three-game weekend series against the Reds. For most players, the journey from sandlot baseball to the glitter of the major leagues is long, arduous, and typically a fantasy. For Benintendi, though, the trip from Madeira’s Sellman Park to the banks of the Charles River lasted just four years—two in college and less than two seasons in a lightning-fast tour of Boston’s minor league teams. It’s enough to make any 23-year-old’s head spin. Or ego burst. It’s done neither. Perhaps you’re reading that quote and rolling your eyes, thinking, Oh wow—here’s another jock who’s been taught by his media handlers what to say and how to say it. But you’re wrong. Benintendi’s modesty and reticence are real. His parents instilled some of that in him, but apparently he was born that way. 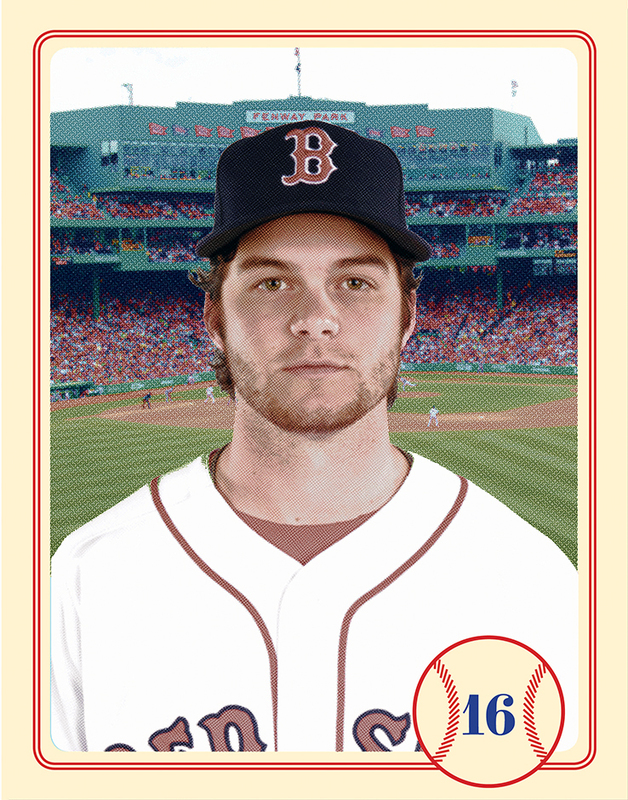 By the end of junior high school, word of Benintendi’s basketball prowess had gotten around. Moeller High School was interested and Benintendi shadowed there. As a kid, he attended several Moeller summer camps where he enthusiastically started each day with the customary “Moe jacks” and in the shadow of the well-stocked trophy case. 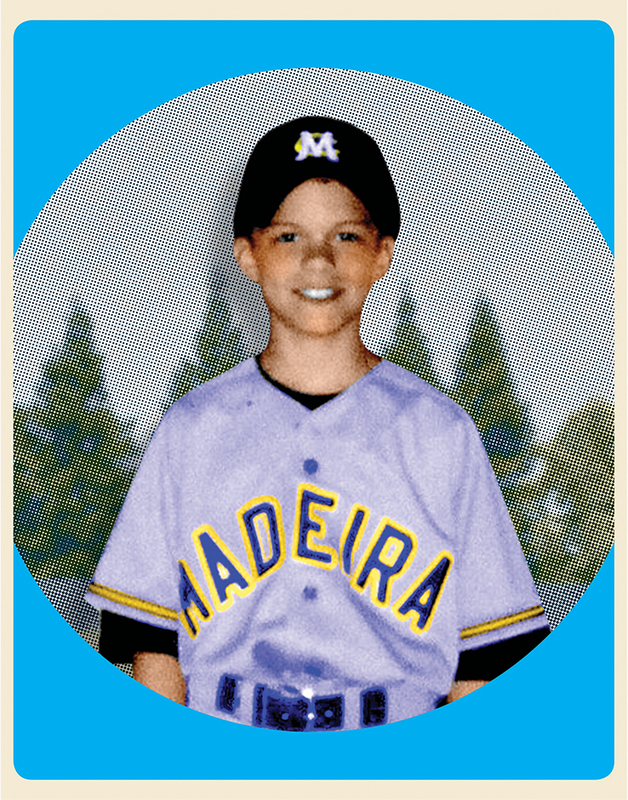 Madeira, however, offered a better chance for him to star in both basketball and baseball. Jill and Chris Benintendi left the decision to their son, but both were thrilled when he chose to play for his small-town public high school. It could have been a life-altering decision. After all, Moeller baseball produced the likes of Ken Griffey Jr. and Barry Larkin, and as Benintendi was making his decision, the team was on its way to winning another state championship. Moeller was where some of Cincinnati’s best athletes went to high school; Madeira was better known for SAT scores. Even an exceptionally gifted athlete could go undiscovered playing on Loannes Drive. It’s not on most college coaches’ GPS. Still, Benintendi was unswayed. Reynolds likes to joke that he out-recruited Moeller, but he and Benintendi’s parents all admit it was a choice based on loyalty. “He just wanted to be with his friends,” says Chris. 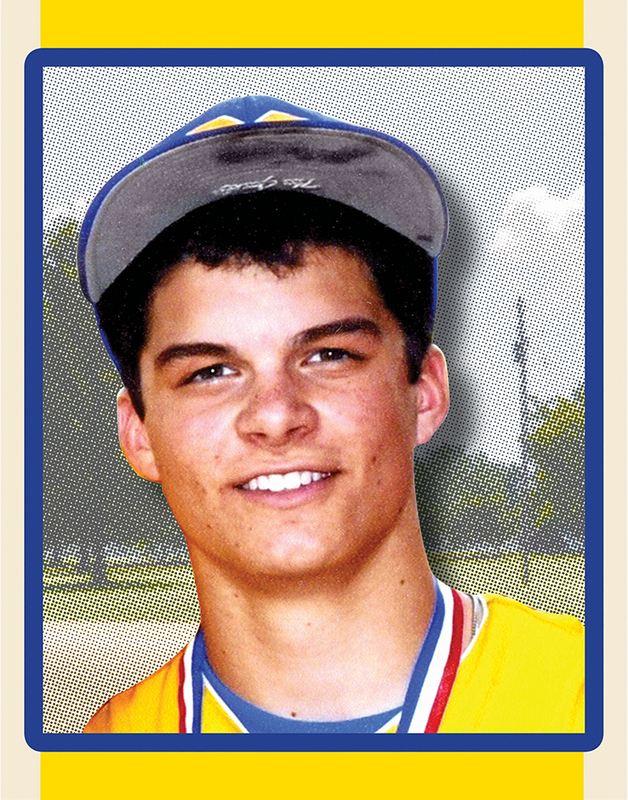 Benintendi was a quick starter at Madeira, a two-sport varsity athlete all four years. Neither Reynolds nor Kuzniczci were surprised. He was a gifted player, even if he did weigh just 135 pounds soaking wet. His size was a bigger issue on the court, especially as a freshman. By the time Madeira traveled to play archrival Indian Hill, Benintendi was the team’s second leading scorer and a burgeoning freshman phenomenon. But high school rivalries often bring out the most creative (and cruelest) countermeasures from fans hoping to rattle the opposing team’s star. “Indian Hill brought pacifiers to the game and called him a baby,” Reynolds remembers. While the crowd shouted insults and pretended to fuss and cry, Benintendi was guarded by a senior who used muscle and experience to shut him down. He didn’t score a point. The weight room can build muscle, but it can’t make you tall. Benintendi admits to this day that basketball is his favorite sport to play, but he knew his 5-foot-9 frame limited any future prospects on the hardwood. “I haven’t played basketball since high school,” he laments. In fact, his Red Sox contract forbids it. By the summer after his freshman year, Benintendi was playing select baseball with the Midland Redskins in Batavia, initially as a substitute on the 18-year-old team and then, after dazzling the coaches, as a starter. He still played basketball but he knew his future was on the diamond. It was with Midland that Benintendi first caught the Razorback bug. One of his teammates was headed to the University of Arkansas on a baseball scholarship and Andrew was intrigued. While he visited a few other schools, Fayetteville was his ultimate destination. It turned out to be another fateful choice. In 2015, his second year as a Razorback, he was the nation’s leading hitter and was picked up in the first round of the Major League Baseball draft by Boston. The dye was cast and it was red—and green. Benintendi got a $3.6 million signing bonus to pair with his $549,000 rookie salary. He bought a Ford F-150. “He’s a country boy at heart,” Jill deadpans. The Benintendis provided something else to Andrew: Good DNA. Both parents were star high school athletes—Chris at Georgetown High School and Jill at Ripley High School. Jill, in fact, was recently inducted into Ripley’s athletic Hall of Fame. “My mom is the best athlete in the family,” Benintendi says without hesitation. And on those occasions when Benintendi’s team lost or he didn’t play well, there were no hollow “good game” psyche-salving encouragements coming from the front seat of the car either. It wouldn’t have fooled him, Jill says. And besides, he was already mentally moving on. Kuzniczci believes that Benintendi’s ability to compartmentalize is as important as his athletic prowess. If you have a .300 batting average, you’re among the best hitters in baseball. But that also means that 70 percent of the time you’ve gone up to the plate, you failed to get a hit. Successful players are the ones who can shake off their failures and approach their next turn at the plate with confidence. Perhaps no better example of Benintendi’s ability to handle pressure came in his senior year at Madeira as he approached the state high school record for the most hits in a career. While the local baseball world was captivated by his chase, Benintendi was dealing with something much more important: His mother’s fight with breast cancer. He got his record-breaking 201st hit against Deer Park and, for a few days, was proclaimed the “Hit King” of Ohio. Then, suddenly—like La La Land—it was gone as, inexplicably, a player from the 1980s was recognized has having hit safely 222 times in his high school career. The chase, the fame, and the shock rolled off Benintendi’s back. Baseball is a thinking man’s game. It has a languid pace that makes you think (or overthink) between plays. It’s a teamsport but when you’re the batter or the pitcher, it’s a two-man duel that everyone is watching. The brains of both combatants are working a lot harder than their muscles. The difference between a home run and a strike out may have as much to do with mental toughness as physical strength and agility. Chris, who played shortstop in high school and second base in college, understood that and took on the unofficial role of a post-game tutor. He and his son would play the game of “What were you thinking when…?” as they drove home. “We’ll go back and forth for a while with our texts and finally he’ll say, ‘OK—that’s enough, Dad,’” Chris says with a laugh. Then she gave me a glance and the message was clear: Yeah, right. That’s not gonna happen.